How much money does a person working in Accounting and Finance make in Quezon City? A person working in Accounting and Finance in Quezon City typically earns around 59,368 PHP per month. The Accounting and Finance salaries in Quezon City range between 27,153 PHP per month (minimum salary) to 125,965 PHP per month (maximum salary). The median salary is 61,149 PHP per month, which means that half (50%) of people working in Accounting and Finance are earning less than 61,149 PHP while the other half are earning more than 61,149 PHP. The median represents the middle salary value. Generally speaking, you would want to be on the right side of the graph with the group earning more than the median salary. Closely related to the median are two values: the 25th and the 75th percentiles. Reading from the salary distribution diagram, 25% of people working in Accounting and Finance are earning less than 39,736 PHP while 75% of them are earning more than 39,736 PHP. Also from the diagram, 75% of people working in Accounting and Finance are earning less than 99,170 PHP while 25% are earning more than 99,170 PHP. 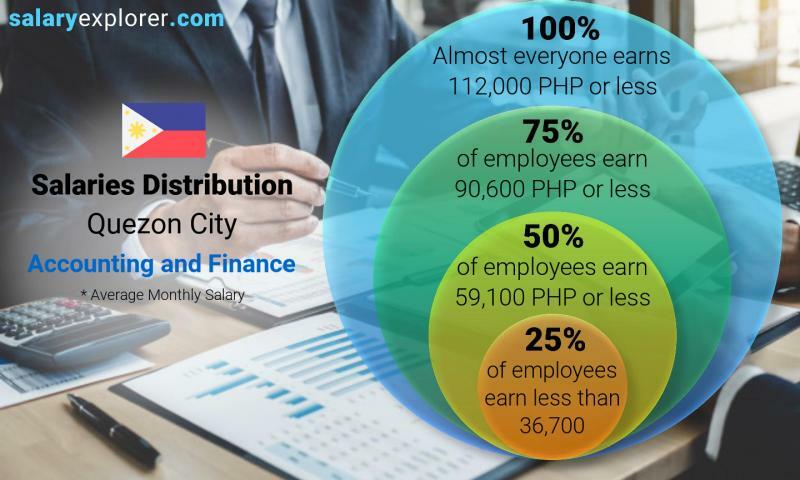 Accounting and Finance salaries in Quezon City are rising in the year 2019 based on recent submitted salaries and reports. As displayed in the chart, salaries in 2019 are 3% higher than those of 2018. The trend suggests a slow yet continous increase in pay in 2020 and future years. These numbers differ slightly from industry to another. The average hourly wage (pay per hour) in Quezon City for Accounting and Finance is 343 PHP. This means that the average person in Quezon City earns approximatly 343 PHP for every worked hour. We compared Quezon City salaries for Accounting and Finance and All Jobs and we found that Accounting and Finance salaries are 3% less than those of All Jobs. 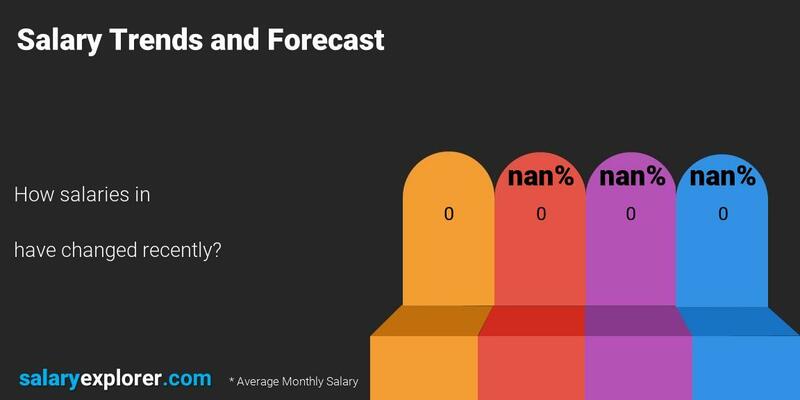 We compared Accounting and Finance salaries in Quezon City and Philippines and we found that Quezon City salaries are 21% more than those of Philippines.